National Security Advisor H.R. 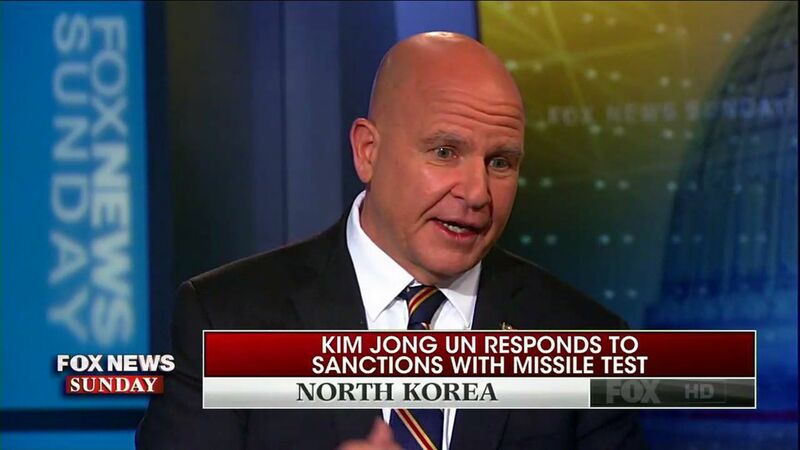 McMaster said the situation with North Korea is growing increasingly urgent to Fox News' Chris Wallace on Sunday. On North Korea: "This regime is so close now to threatening the United States and others with a nuclear weapon that we really have to move with a great deal of urgency on sanctions, on diplomacy and on preparing, if necessary, a military option. On the Iran nuclear deal: "It is the worst deal. It gave all these benefits to the Iranian regime upfront." On whether the White House is better off after Steve Bannon's exit: "What's important is to have an inclusive process, not to try to manipulate into a particular decision or to advance your own agenda ... There were some who try to operate outside of [the National Security Council's] process for their own narrow agendas."